This year, the year of 2016, has been a year full of traveling for us. We have been to a total of fifteen countries during the past twelve months and there have been so many amazing places that we have had the opportunity to see. So which are our top 20 destinations 2016? One of the destinations during our two week long trip to southern Africa in October, Cape Town is the top one destination 2016 for us. It was one of our longer stops during our travels and the one place that created the most memories. Sights such as Table Mountain and Cape Point will always stay with us, that is also true with the penguins at Boulders Beach. We headed to the capital of Georgia in the beginning of June and did not really know what to expect from the city. Tbilisi and Georgia welcomed us with history, culture, nature and amazing food. Georgia has ever since been among the top the countries we consider to have offered the best culinary experience. It is also one of the countries that offered the best value for the money spent. Bratislava will always be a special place for us as it is where we met. It was also in Bratislava that we twelve months ago welcomed the year of 2016. We had time to visit the city once more during the year when we returned in November and thus it deserves a high position in our top 20 destinations 2016. The Christmas market did not let us down and there were so many old memories coming back each time we visit Bratislava. This is definitely a city we will visit again soon! It is hard to mention one specific town or place from our visit of the Gambia. There was just no place that by itself made that one great impression. Instead it is the whole trip as a whole – and our first African experience – that places the Gambia on this list of top 20 destinations 2016. It is a small country with a lot to offer. Our first visit included the capital Banjul, following in the tracks of the slave trade to Juffureh and a one-day safari in the Fathala Wildlife Reserve in Senegal. 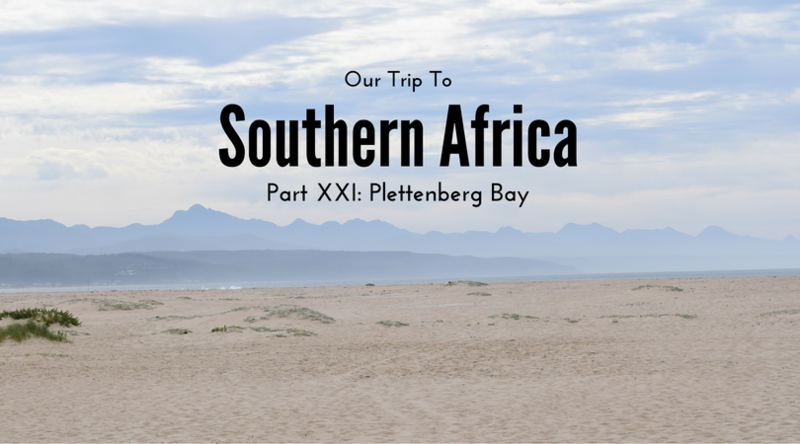 Our first visit to the African continent did leave a long lasting experience. Lake Como is a classic! Only a few hours after our wedding ceremony here in Stockholm in July we were on a plane heading down south. The destination was Bergamo in northern Italy. Here we took the possibility to travel a bit in the region for a few days and it is especially Lake Como that we remember. It was with the view over the world famous lake that we spent most of our first full day as married. A very good reason that places Lake Como and northern Italy fairly high on the list of our top 20 destinations 2016. During our trip to southern Africa in October we only had two longer stops. One was in Cape Town and the other in the Namibian town of Otjiwarongo. This small town might not have been remembered for much if it was not for where we went from there. We had the opportunity to see the cheetahs at the Cheetah Conservation Fund as well as an amazing safari tour to the Etosha National Park. Otjiwarongo was our base and it did offer us some amazing memories. Manchester in August welcomed us with an surprising activity on the streets. The whole city was celebrating with the Pride Parade. Manchester did also welcome us with a meeting of an old friend as well as some delicious Pakistani food. This is one of the cities where Susann once have lived (while studying at uni), so now we only have Moscow and Lublin left to visit of the places of Susann’s past. From Manchester the trip continued to London and once more we had the opportunity to meet old friends. Long walks along the scenic sights filled our two days in the city. It was the first time Jesper visited the city and it is for sure a city that everyone should visit at least once. The history is ever present and there is such an energetic vibe. We hate being so obvious, though, but London really deserves its spot on our list of top 20 destinations 2016. We really thought that this would be one of the most amazing sights this year. If you’ve come across photos from the Caucasus mountains, it’s probably Kazbegi you’ve seen. Our visit in June really is one of the top 10 highlights of the year and it easily makes it to our top 20 destinations 2016. And when it comes to the view, well it was top one until we arrived to the top of Table Mountain in Cape Town five months later. Susann thinks it’s a tie between these two places! Susann sure was happy to return to the Hungarian capital. It was the first time for us to visit Hungary after we moved back to Sweden and during our short stay Bratislava we decided to go on a day trip. Budapest always has a lot to offer and this day in November, we really were welcomed by both sunshine and the annual Christmas market. Copenhagen for a day? Well we hadn’t really thought that much about it and then eventually we ended up in the Swedish town of Malmö for a weekend. Was it possible not to see a new country when it was less than an hour away? No, of course we couldn’t turn down a possibility like that. We ended up walking the streets of Copenhagen in March. The Danish capital did offer some nice attractions and one or two lessons in the differences between Denmark and Sweden. Also, the smørrebrød was delicious. Windhoek – the capital of Namibia – is also on our list of top 20 destinations 2016. It took us until the last day of our stay in Namibia before we properly started to explore Windhoek. The city with its German influence offered an interesting contrast between what we consider German, such as beer and the old church, and the African surroundings. It’s a nice place for a day or two. We actually only visited Tallinn once this year together. Susann was also invited there for work. In April we took a cruise across the Baltic sea to the Estonian capital and had a day to enjoy the city. At the same time we celebrated Susann’s birthday. Tallinn is a long standing favorite in the Baltic region and is easily accessible from Stockholm. In other words, it’s the perfect weekend escape when Sweden starts to feel a little bit too normal. As we have seen some of the main attractions in the city during previous visits we could just make sure to enjoy everything it has to offer. 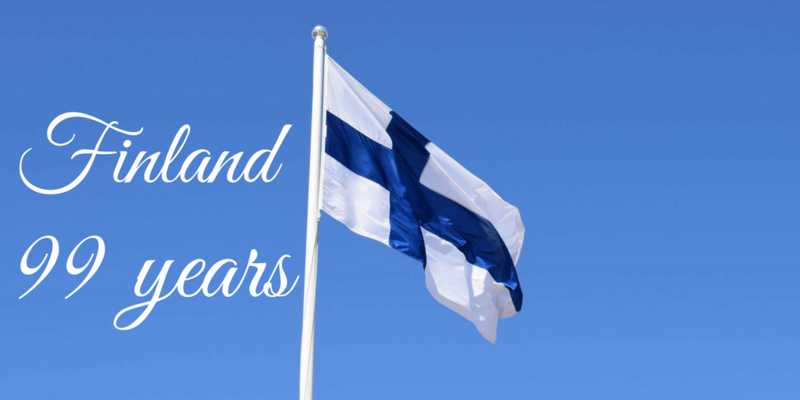 Susann visited the Finnish capital multiple times this year. Together we went there once together. In April we spent two nights at a hotel that previously had been a prison and we enjoyed the Finnish version of Valborg. As far as our list of top 20 destinations 2016, it is hard not to include Helsinki. It is a quirky city with great views, foods, and attractions after all. The reason for not placing it higher up on the list is the same as with Tallinn; multiple visits usually means less new experiences each time. We had a short stop in Doha on our way to southern Africa. The capital of Qatar welcomed us with an immense heat as soon as we exited the airport for a tour around the city. It was for sure a new experience as it was the first time for us in the region and we really enjoyed our stop. The food was probably the highlight of the day. All the construction work going on everywhere made it hard to get an understanding of the city itself. Swellendam was one of the coziest and most welcoming towns we visited during our trip to southern Africa. It was a bit sad that we didn’t have time to stay longer than one night. It would have been nice to explore the town and its surroundings a little more. The landscape around the town did of course not lower our excitement at all. 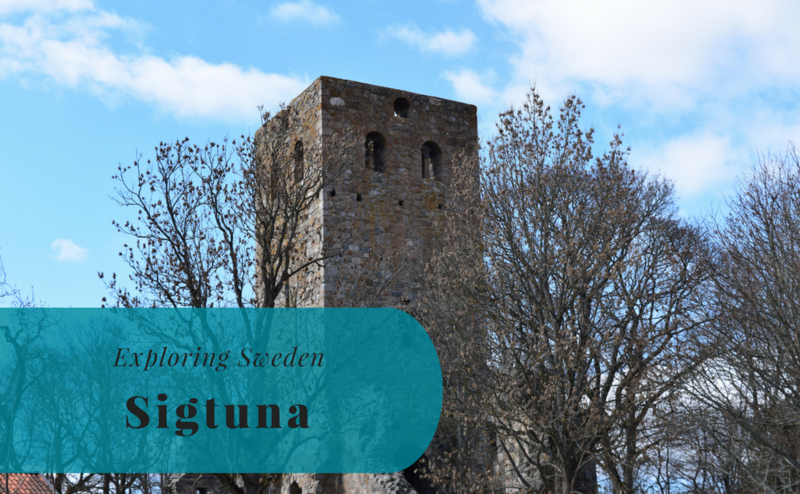 We have been to quite a few Swedish towns this year and Arboga was probably the biggest surprise. During a road trip in the summer we saw towns such as Malmköping and Örebro, but it was eventually Arboga that became the favorite. So, of course it makes it to this list of our top 20 destinations 2016. Due to a coincidence we made a dinner stop on our way back from Örebro and we eventually stayed a bit longer for a walk around the center of Arboga. The town is not big, but it’s charming! And we also had some delicious Greek food! Although Malmö is Sweden’s third largest city, it’s not really a popular destination . We visited the city for a weekend in March and even though we were not lucky with the weather it is still a visit with nice memories. We visiting old friends and met others for a cup of tea/coffee. The weather is not always the most important when a city leaves a everlasting memory. Malmö also has a lot of cozy coffee shops and restaurants, as well as a nice old town. Verona made another stop during our short honeymoon in Italy. The day started with us taking the train from Bergamo to Brescia. After a walk around the city of Brescia we took another train to the main destination of the day, the city of Verona. Verona greeted us with sunshine and an almost suffocating heat. The city has some very interesting historical sights, such as the old bridges. We did however skip Juliet’s balcony. The food – as you might expect – was delicious, including the gelato. The only reason for Verona not being higher up on this list of top 20 destinations 2016 is that there were too many tourists, with the crowds making it hard to get around. We very much recommend Brescia as well! 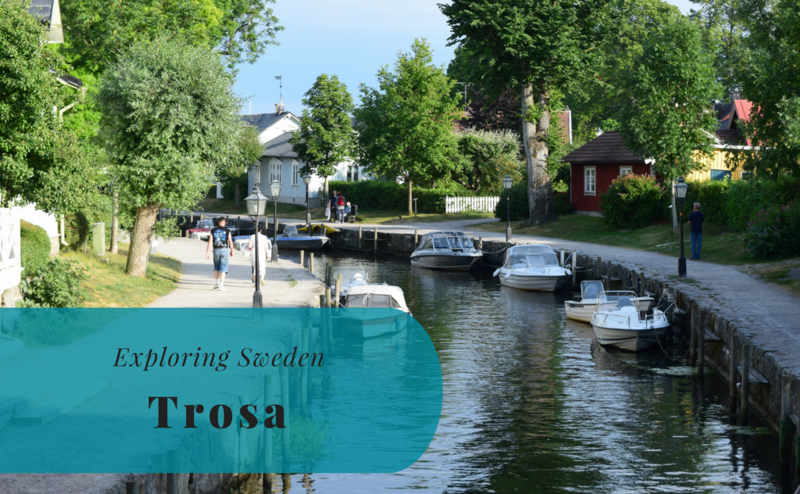 Uppsala is not far from Stockholm, it took us less than an hour to go there by train. It still took us several years living in Stockholm before we eventually decided to go there for a day trip. Historically the city has been one of the more important ones in Sweden. It has for a long time been one of the main university cities in Sweden and the city very much revolves around education. There really is a lot to see when visiting, including parks, the castle, and museums. Our visit actually managed to coincide with kulturnatten (the night of culture), meaning that there was a lot happening on the streets and in the museums. Which places would you add to this list of top 20 destinations 2016? And where should we go in 2017? South Africa has been on my list for quite some time! I visited Italy but didn’t get to go to Lake Como! 🙁 however, I did visit Budapest and got to attend a “Sparty” which was pretty cool! We are headed to London as we speak for the first time so I’m super excited about that!! Great list! First of all, I’m super jealous that you got to visit so man countries in one year! I’m hoping to be able to do that one day…working towards it. Second of all, this is a great list – I haven’t been to most of the places on this list, but can’t argue with Cape Town topping the list, from what you’re saying and what I’ve heard about it. I live in London, so I’m glad to see that made the cut – interesting that Manchester has the edge over it, though! It just occurred to me to write up a blog post like this for us for 2016! Looks like we share some of the same favs, like London and Lake Como. We camped right on the lake this fall and kayaked out past a house that was used in one of the James Bond movies. The lake was more beautiful in the early morning light than I could have imagined! We lived in Switzerland though the year before, and I have to say many of my all-time favorite destinations are there. If you haven’t been, I’d definitely recommend it! Hiking Aletsch Glacier, camping in the Lauterbrunnen Valley, the Matterhorn – so much natural beauty it’s almost a crime. It definitely is insanely expensive. If you’re into camping and roughin’ it a bit, campgrounds are relatively cheap and easy to find. We camped for free a couple nights near the Matterhorn and while it’s not super common, nobody seemed to mind. Happy travels in 2017! Copenhagen in March is about as grey as it gets. I have been living here for a few years now and I love it but that is not the most pleasant month of the year. There is some really nice spots on this list. Cape Town looks mind blowing!! I cant even deal with that photos! So glad you went to Georgia! I really enjoyed my (brief) time there and would love to go back. London is always a wonderful choice. I’ve heard so many great things about Cape Town, you may have convinced me to go! Damn, what is wrong with me!!! I haven’t been to any of those destinations. The envy right now is through the roof. Would love to get to all those places, always had a fascination with South Africa, so Cape town has got to be on the list. Also anywhere in Europe would be good. Now to get Australia that little bit closer to thise destinations. Great list. All great destinations. We have been to a few of those and a few are in our bucket list! Prague, Czech Republic is our top 2016 destination. We fell in love with that city. I like to see Bratislava on there, so many people forget about it but I had a wonderful time there in the city. Destinations I would recommend include Slovenia and Austria if you have not already visited! Canada is also a very fun place to visit- went to Montreal in October and really enjoyed it. Dont worry, most people that live in Qatar still cant wrap their heads around what the country actually is 😀. But you’re right about the Lebanese food – it’s delicious! This sounds like such a beautiful list. Can you tell us the approximate prices for travelling to Georgia? It looks so tempting. Wow, 15 countries is a pretty good number. Though I traveled all year in 2016, I could travel to only 2 international destinations – Jordan and Bhutan in 2016. I however traveled every month in my country India. India itself is so huge and full of variety that it is like many countries rolled into one. I would love to go to more international destinations in 2017. What a great year you had! I’ve only been to London from all the listed cities and I loved it. It was mi frist time in Europe and I still have many places to see, Italy on my top 10 😀 Love the picture from Verona, so bad it was full of tourists. We are going to so many places this year from your list. Nicely compiled. How good is Bratislava ? you had such a great year! :) happy 2017! Wow Jesper, you have been in a lot of places in 2016…really well done. Hope your visiting in our country (Italy) was really good. Many beautiful place I would like to visit this new year, such as Namibia and Cape Town…for sure Africa is on my list in 2017 😀 . Wow! That is an impressive travel list you covered. I have done just 2 out of these. Sweden looks charming through your lens. It is good that you could visit your friends there and tour the place as well. Happy new year, wish you more travels in 2017. You had an amazing year and I must congratulate you on the same. It is good to see you visit countries like Gambia. I have not come accross any other blog on that country. Only been to 6 in your list. If I could only choose one, it would be Helsinki. Your post inspired me to go listen to a Metallica show I have from Helsinki! Looks like I really need to get to traveling! Your photos are amazing and make me want to travel to them all!